Ara bring us 2250137/20 ATLANTA 81. 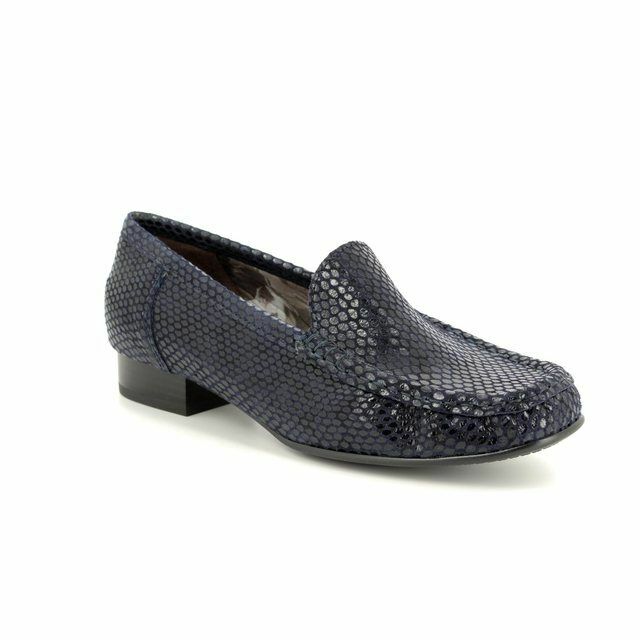 Perfect for work or play, these loafers will do it all. 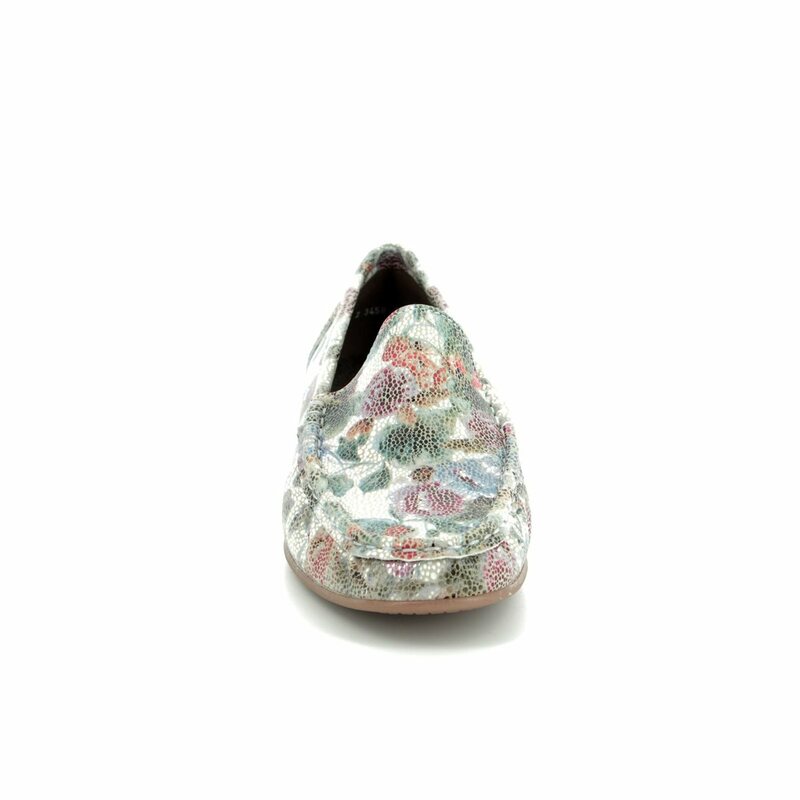 The subtle floral print of the upper is overlayed with an embossed mosaic effect giving these shoes the perfect summer tones. Ara have used a contrast coloured low block heel to elevate the look while the addition of a cushioned insole ensures all day comfort. These insoles feature gel padding with memory functions to ensure the shock absorption is constant and effective. 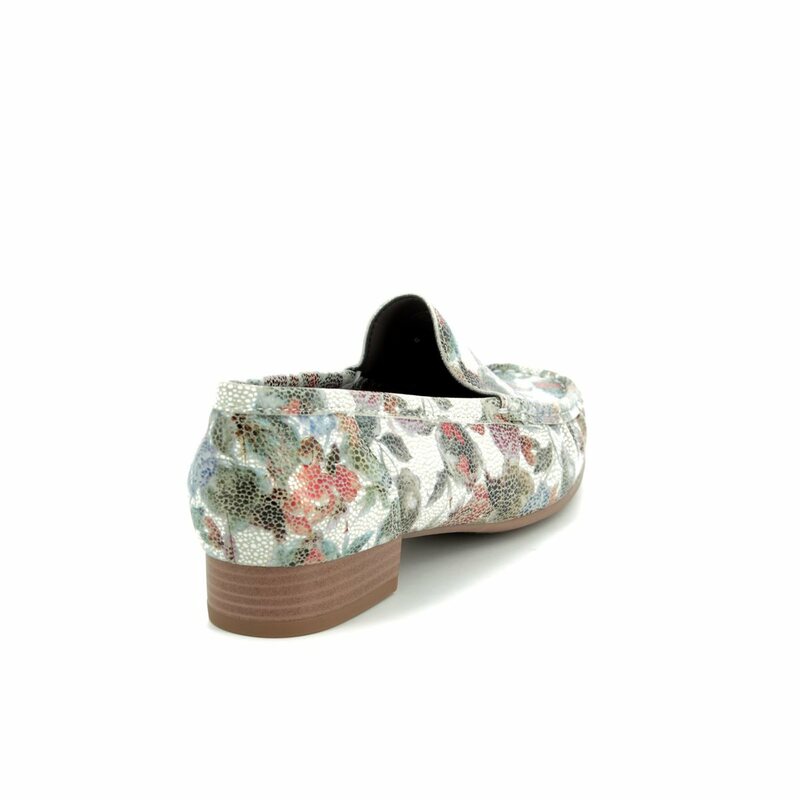 Ara have also used a traditional weld stitch on these loafers for a more classic vibe, joining the toe box and vamp in a statement seam to the outer of the shoes. 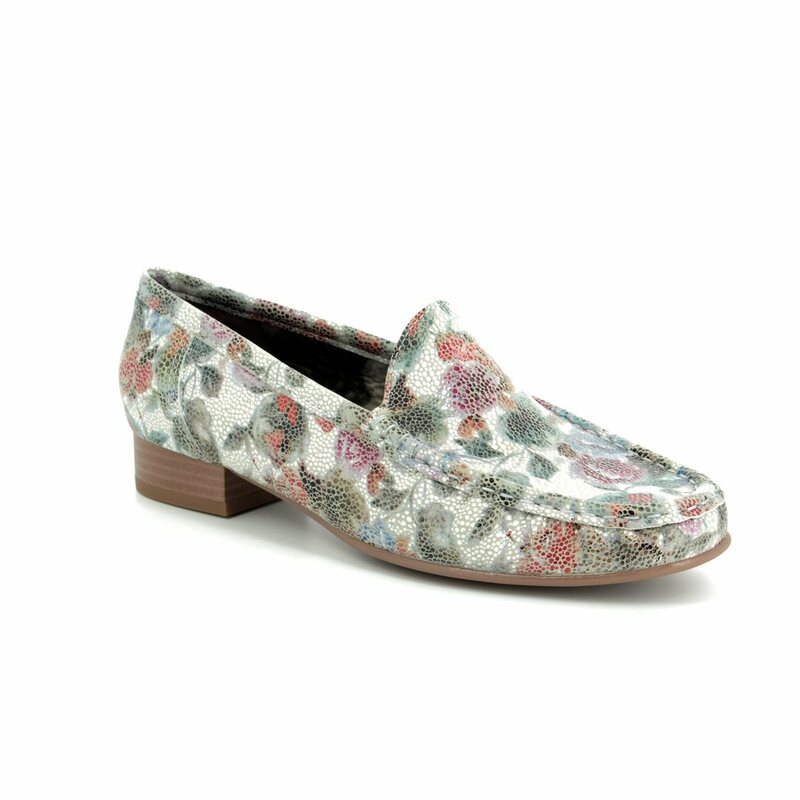 Paired with a dress or trousers, these ladies loafers are a summer wardrobe staple. 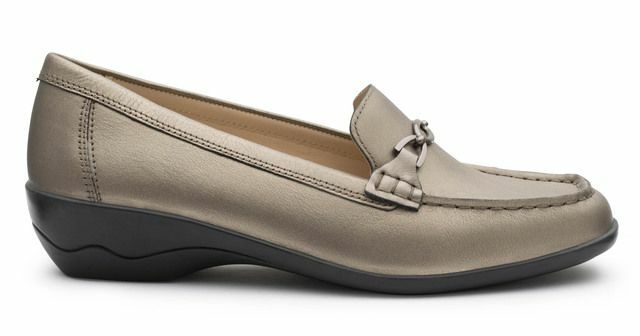 Buy your Ara ladies loafers from Begg Shoes, an official Ara stockist.